The story and tragedy of the Kennedys is so incredible you don't need to turn to fiction, says the biographer of Joseph P Kennedy, David Nasaw. He talks us through the Kennedy generations. 3 Robert Kennedy and His Times by Arthur M. Schlesinger, Jr.
David Nasaw is Arthur M Schlesinger, Jr. Professor of History at CUNY’s Graduate Center. 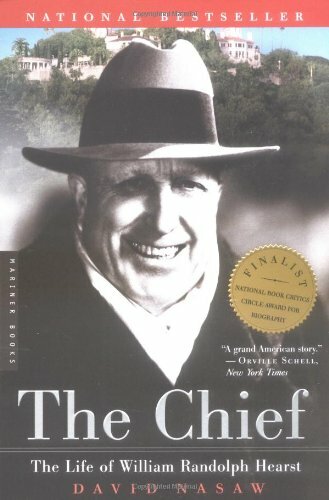 His biography of William Randolph Hearst, The Chief, won the Bancroft Prize, and his acclaimed biography of Andrew Carnegie was shortlisted for the Pulitzer. He is currently working on a biography of Joseph P Kennedy. First, can you tell us about the Joseph Kennedy biography you’re working on at the moment, and how that project got started? I’m drawn to big, American moguls, like Hearst and Carnegie and Kennedy. I guess I’m drawn to them in large part because we think we know who they are, and there’s been a lot written about them, but they’re such big characters that they become polarising, and most of the people who’ve written about them have done so with the purpose either to condemn or celebrate. These are extraordinary people to write about, because there’s a lot out there, and what you really have to do is start all over again from the beginning. I did that with Hearst and with Carnegie, and I’m doing it with Kennedy now: throwing out every preconception, every anecdote, every comment that X has made to Y, having heard from C, that Kennedy or Hearst or Carnegie did this, and just starting from the beginning. When one does that, one finds that some clichés are clichés because they speak the truth, and that one of the truths here is that truth is much more interesting than fiction – at least I think so. So I’ve discovered all sorts of remarkable things about Kennedy, again by not trusting anything anybody else had said or written about the man, but looking at his own words and at testimony that I thought was reliable about him (done at the time – not 20 or 30 or 40 years later). Since Joseph Kennedy was such a family man, does studying him give you a lot of insight into his children, too? Yes, absolutely. 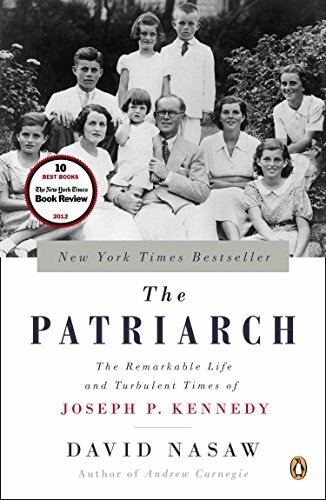 One of the reasons I wanted to do this (and one of the tricky parts about this book) is that Kennedy was so committed to being a good father, that he involved himself heavily in his children’s lives – and not necessarily in a bad way; they welcomed that involvement. He was a remarkably good father. He wanted all of his children to do public service; he wanted all of his children, boys and girls, to find jobs. When they were younger, he let Rose put the girls in school, but when they got older, he took a direct interest in what they were all doing. Eventually, he also effectively retired from public life, in large part because he didn’t want his reputation to hold back his children in any way as the boys entered politics. So the latter part of his life – certainly the last decade – was spent in the shadows, though he was active nonetheless, as a father. He was very ill toward the end of his life, right? Well, when I say the last ten years, I’m really talking about up until the stroke. From the moment of the stroke on, he is totally incapacitated. You really can’t make this stuff up! This most dominant of men, who enters the room and is the centre of all attention – he loses his ability to speak and walk, so he can understand everything, but the only word that comes out of his mouth, no matter how hard he tries, is ‘No’. I get chills up my spine whenever I read about that! It is chilling. So, my biography is effectively going to end in late 1961, when Kennedy has the stroke. But from ’52, when Jack decides to run for senator, there’s almost a family agreement made that Joe is going to stop speaking, and Joe is going to spend a lot more time in the south of France – certainly around campaign time and election time. And if he had not had a stroke, you would not have seen him at the White House at all, or very rarely. Let’s talk about your first choice, Hostages to Fortune, which I believe had something to do with your getting involved with the Kennedy biography in the first place. Yes, it did! It’s a great book; it’s a collection of letters to and from Kennedy, most of them from his children (though there are a lot of other letters in there as well). 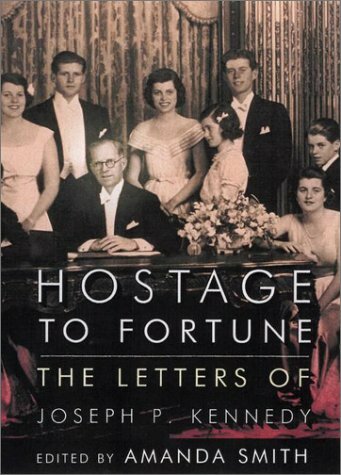 When I was doing a biography of William Randolph Hearst, I got in touch with Amanda Smith, the editor of Hostages to Fortune, to see if she had any correspondence between Hearst and Kennedy; so I was originally introduced to Kennedy through this Hearst project. It was in his correspondence with Hearst that I discovered that, rather than being this predatory vulture who was swooping down on the Hearst empire, Kennedy really took a liking to the old man, and tried to rescue him from bankruptcy. So that was my introduction, through Amanda, and through Hearst, to Kennedy. One of the things that comes across so clearly in this book is the family’s extraordinary sense of humour. This is a family – I mean, if they didn’t go into public life, they could have been performers and comedians, humourists! One is more hysterical than the next. It’s really a terrific book, even just for diving in and diving out. Nobody except lunatics like me is going to read it all through. Have you found much evidence in his letters (or other sources) that Joseph Kennedy made a significant effort to ‘manage’ his own historical legacy? Listen – I tell this to my students as well – every archive is constructed. There is no archive in the universe that has not been constructed, either by the subject or by the subject’s followers or family. So this archive, and these letters – there’s stuff left out. Nonetheless, you will never find a book or a collection of letters as honest as this one. It is absolutely extraordinary. Yeah! There’s stuff in here that really does not put various members of the family in the best light. It’s frank, it’s direct; it’s quite an honest and full selection. That’s why it’s an amazing book. Amanda is a Kennedy granddaughter [by adoption], and yet she did an extraordinary book – and the family let her do it. The family is very smart about that kind of thing. 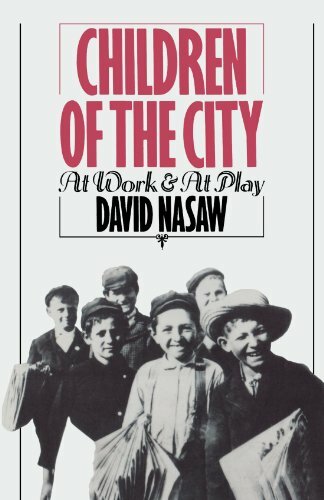 I spent a lot of time negotiating the terms of my book with Senator [Ted] Kennedy, and he knew full well that, unless he chose someone who had some standing as an academic historian to write this book, and put no restrictions on the research or the writing, nobody was going to believe the book. 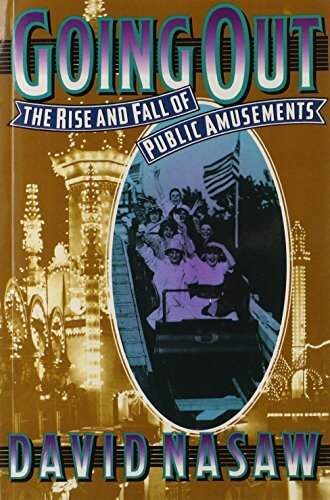 So I have no restrictions whatsoever on what I can look at or what I can write about, and I think Amanda – as far as I can see in this book – also had a free rein. Anybody who dives into this collection thinking that they’re just going to get a love-feast, that this is put together to add to the greater glory, and only the glory, of Joseph P. Kennedy… they’re going to find something else there. That’s pretty remarkable. Let’s move on to Ben Bradlee’s book, Conversations with Kennedy. I chose Bradlee for two reasons. One, you see Bradlee struggling to be a journalist and a friend at the same time; two, you see Jack Kennedy struggling to have a journalist as a friend. Given that, Bradlee – who only writes this book after Kennedy’s death – is privy to secrets and situations that no one else could have experienced, seen or heard. And you really get a sense of the Kennedy administration and of Kennedy’s personality that you don’t get anywhere else. You get a sense that this is the real Kennedy. The book is warm, the book is personable; you see a Kennedy who has a temper, who uses language he shouldn’t, who is struggling with an impossible job, and who’s smart as can be in attempting to manage his job and his public image. So the Bradlee-Kennedy friendship offers more advantages than disadvantages when it comes to the composition of the book? I think it offers both. One of the reasons I like the book is that Bradlee is very clear, right from the beginning, that the two of them are great friends, and they’re both using each other. And each knows that the other is using him. There are times when you feel that you’re almost in a Pinter play, with web of suspicion built on web of suspicion. 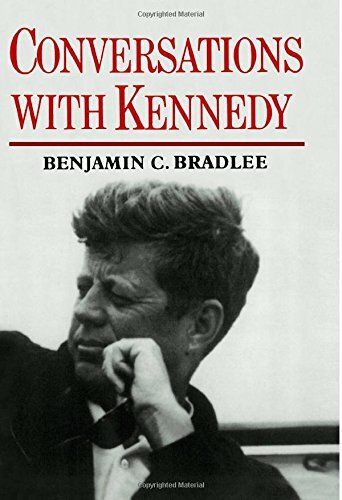 Nonetheless, given the fact that they both recognise that they’re using each other, Bradlee writes with a degree of intimacy and is granted a view of Kennedy that is not available anywhere else, and I think both men knew that this book would not be written until the Kennedy political career was over. And I don’t think it was written until ‘75. Does Arthur Schlesinger, Jr., who worked closely with JFK for a significant period, and was an outspoken RFK supporter, manage to navigate the obstacles associated with writing about friends/colleagues with similar deftness in Robert Kennedy and His Times? I think he does. You know, this is a very different book from A Thousand Days. A Thousand Days is Schlesinger’s big, fat book about the Kennedy administration and his life in it; in that book, he writes from the inside. In Robert Kennedy and His Times, Schlesinger writes from the outside, and he does a remarkable job. You see the brilliance of Schlesinger as a historian that is evident in his books about the New Deal and Roosevelt. You know that Schlesinger worked for Kennedy, and admires him; nonetheless, the advantages of being an insider and trying to write from the outside I think outweigh the disadvantages of reading a book by an insider. With this book. This is rarely the case – but then, rarely do historians come along as talented as Schlesinger was. 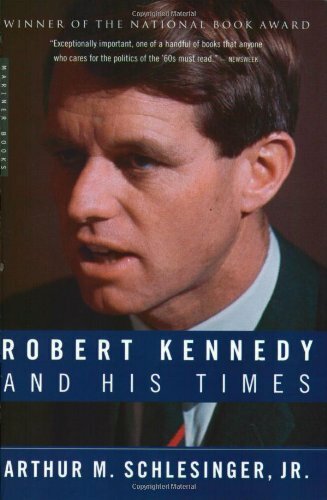 Is this the best work on Robert Kennedy that there is? Yes, I think so. You know, Schlesinger himself always said that history is written to be re-written. If you ask me to do this ten years from now, and I’m still around, I doubt very much that I will choose this book as the best one. But right now, it’s a rather remarkable book. 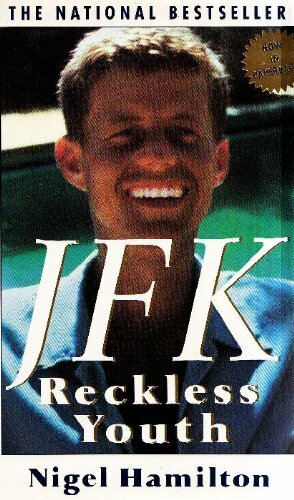 Let’s move on to Nigel Hamilton’s JFK: Reckless Youth. Right. Hamilton – I disagree with him much more than I agree with him. This book is very much a book about a father and a son. The father is painted as the bad guy, and the son is the good guy, struggling to break free. I don’t accept that interpretation, or that framework of analysis. Nonetheless, Hamilton writes with a verve, an electricity, a passion, that’s rare among academic historians. As a researcher, he’s extraordinary. He did everything: he read every newspaper clip and every magazine article; he interviewed everybody he could possibly find, and read the interviews that other people had done. He’s put together a remarkable portrait of young JFK, and I think that portrait will stand. You see this most unlikely of men develop, this incredible transformation take place. Nigel and I agree that Jack Kennedy always had political ambitions; if he backed off a bit, it was because his older brother was first in line. But I think he believed, and certainly his father believed, that, just like the La Follettes had been senator and governor of Wisconsin, so the Kennedy brothers could both have high positions in politics. The reason Jack was not thought of as presidential material early on was that his health was so bad; nobody in the family thought he had the endurance to run a campaign. But when you see the way this young man develops – when you see him going from being unkempt, badly dressed, undisciplined, always late, a man who would much prefer to stay at home reading a history book than go shaking hands… When you see him become the most unlikely of war heroes – a war hero who didn’t want to be known as a war hero – and then a candidate… It’s an extraordinary story, and extraordinarily well told by Hamilton. Nigel Hamilton is a Brit who’s written a very popular and influential book about an American icon. Is there any significance to the biographer’s nationality at all? Does it give him any clear advantages or disadvantages? That’s a great question. I don’t know. Hamilton had written a book about Montgomery before this one, and I think it gave him a fresh view and a new view on Kennedy, coming from the other side of the Atlantic. He admired Jack Kennedy no end, but I think he had a certain advantage in coming at much of this in a way that was different and perhaps more fresh than his approach might have been had he grown up an American during the Kennedy presidency. What about you, being an American – do you feel you have any particular disadvantages when writing about the Kennedys, given your life experience in this country over the past decades? I don’t think so. I think there are advantages both ways, and I would hope that my background and my understanding of U.S. history, as a historian, are going to stand me well. And also my ‘ethics’ as a historian, if I can use a horrible word. I don’t think that any historian can be objective, but I think historians have to be fair, and they have to look at all the material out there. I think that approach will stand me well, whether I’m writing about an American or a Hungarian. Let’s talk a little about the genre of biography before we move on to your final choice. I think you and Nigel Hamilton have both spent a significant amount of time thinking about the genre in the course of your careers. In your opinion, is it superior to other forms of history-writing? I think Nigel and I disagree a little bit on this. I think he regards biography as almost a separate genre. I don’t. I am a historian, and, at least with the last couple of books I’ve written, I choose to write history from the vantage point or from the perspective of an individual. As a historian, I believe that no individual is, in and of himself or herself, a fit subject. The individual is only used as a perspective, a way to illuminate a larger truth. This is true of many great biographies. Bob Caro’s biographies of Johnson are about the accumulation and use of political power; David Levering Lewis’s books about Du Bois are about race in America. 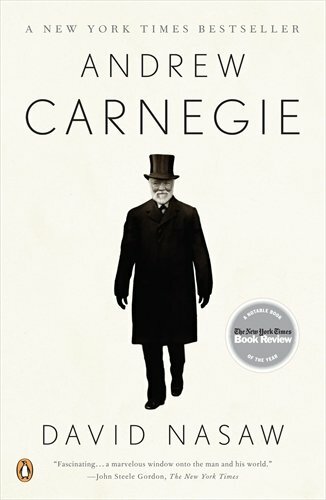 I hope my biography about Carnegie is about the role of the entrepreneur in the Industrial Revolution, and my book about Hearst is about the coming to power and prominence of the mass media. So again, I regard myself as a historian who, this time around, is writing a biography. Some time ago, the American Historical Revue did a symposium on historians writing biographies. In the beginning, I refused to take part in it, because I didn’t think I needed to defend writing biography. In the end, I decided to write the introduction to the thing. In it I said that, as a historian, I’m not interested in telling a birth-to-death story – that’s not my intent. I want to use this person’s life to talk about something else. I said that, if you look at great biographies by historians, they don’t begin, ‘X was born at such-and-such a time’, and they don’t end, ‘X died at such-and-such a time’. I think that biography is a credible and an extraordinarily useful form of history writing. And I bow to no one when I write my biographies; I am as rigorous and scrupulous with my sources as when I write something else. You know, it’s not fair – there are a lot of bad biographies written. There are a lot of bad books in other forms. And you can’t use Kitty Kelley to blame or to condemn this whole form of historical writing. 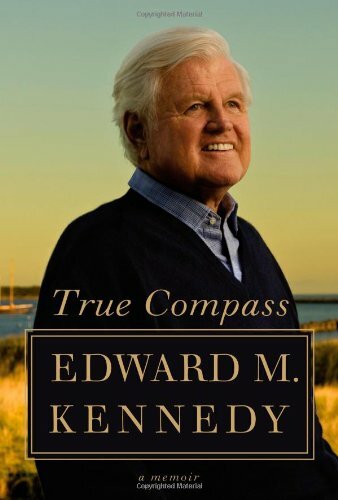 The last book you’ve chosen is Ted Kennedy’s memoir, True Compass. Generally, I’m not a fan of memoirs. Maybe it’s because I’m a biographer. I don’t like it when autobiographies are confused with biographies; they’re very separate, very different. But there’s just something about the stories that Ted tells in this book that is so engaging; you get a real sense of this Kennedy mission, this Kennedy commitment to public service – and you also get some idea of what holds the family together. It’s religion; it’s love of the sea; it’s commitment to making the world a little bit different. You really get a sense, in this book, of the wit and the glamour that the Kennedys are able to combine with public service and politics in a rather unique way. This is one of these Kennedy books that is just extraordinarily honest. Ted was a remarkable mimic, and a great storyteller, and that comes across on page after page of this book. He tells such wonderful stories… There’s one about his mother sending him to school in Rhode Island with his brother Bobby. Ted’s only nine years old, and the next-youngest kid is 13. Ted gets picked on and bullied, and his only friend, the only thing he’s got going for him, is his pet turtle who comes with him – and who dies two weeks after he gets there. You just get the sense of this incredible, intense individual life, and then this life as a Kennedy. I loved it. You said one gets a sense of the uniqueness of the Kennedy family from this book. Is it at all useful to compare them to other ‘dynasties’ – real or fictional? I think you can certainly compare them to all those families. I mean, that’s how we understand people – by comparisons. But comparisons also focus on differences. The people behind this latest television series, ‘The Kennedys’, said in the very beginning that they were going to tell the Kennedy story as The Godfather. That’s just nonsense; I think it’s absurd. You can certainly compare the Kennedys to other families, but in the end I think they do stand out in a way. I mean, Franklin Roosevelt’s children never succeeded in politics, or in any other part of life. Teddy Roosevelt’s children didn’t. The Bush family – I just don’t think it’s possible… The more you compare the Kennedys to other families, the more their uniqueness comes back. Is it something about the tragedy that seems to haunt the Kennedys, which also sets them apart? Oh, yes – it’s incredible. It’s so incredible that you don’t need to make stuff up! There are probably more bad books about the Kennedys, and more bad television shows, and more bad movies, than about any other family, and there’s no need for it. I mean, the drama, the everyday drama… It’s there even in that story about the young Ted Kennedy and his pet turtle that I told before. Whether you love them or you hate them, I think you’ve got to respect – at least, I respect – their commitment to public service, which comes from their father and their mother. My final question is about that controversial Kennedy TV series you’ve just mentioned. It’s garnered lots of attention lately, on both sides of the Atlantic. Is it worth watching? God, I don’t know. I’m not going to watch it. I’m not going to watch it because, one, I know I’m not going to learn any history from it; two, I know I’m probably going to throw things at the screen as they make up stuff; and three, from all the reviews I’ve read, it sounds like there’s no real drama to it! Tom Wilkinson is a great actor, but he has to read somebody else’s lines, and I don’t know if they work. And four, it’s just ludicrous to make the story of this family into a Godfather epic, and structure it like that. So, I’m not going to watch it. That’s all I can tell you.